On your first visit to Khosht, you meet up with Cherry, the legendary swashbuckling she-devil. Her friend Fang has just been taken prisoner by ghouls outside of town. Will you aid Cherry and Slather the Troll rescue Fang from a fate worse than death? There's also plenty of treasure and power to be found on this mission, assuming you can survive the Pits of Morgul! 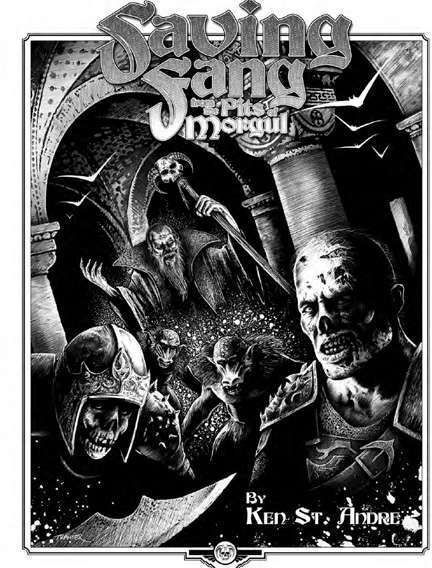 This solitaire adventure was specially written for the first edition of the Tunnels & Trolls rules, but it can be used with any edition. It also includes a map and information to allow you to use it as a GM adventure.